People outside the industry have often found these figures to be shocking, especially as the world economy is undergoing uncertainty and still reeling from the effects of the financial crisis of 2008. Banks are often criticized for big payouts and new rules on salary caps in Europe hasn’t stopped that. “I think we are seeing some incentive systems in some corners of the financial sector, yet again, moving in the direction that I find not exactly aligned with the sense of purpose that I hope banks actually have,” Christine Lagarde, the managing director of International Monetary Fund, said at a CNBC-moderated panel at the World Economic Forum in Davos last month. She also advised the financial sector to work with a sense of purpose and not “single-mindedly” for the pursuit of profits. 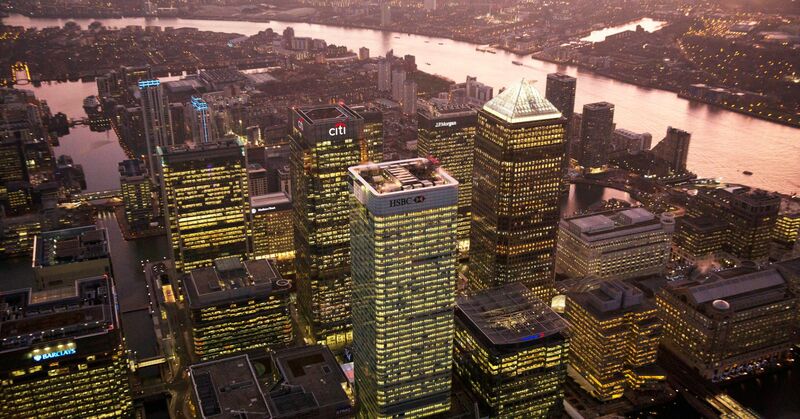 European banks have to adhere to an EU-wide bonus cap that was put in practice in early 2014. The regulation limits bonuses paid to senior managers and other “material risk takers” to no more than 100 percent of their fixed pay generally, or 200 percent of their fixed pay with shareholders’ approval. European banks are suffering from years of weak profits, massive fines, ultra-low monetary policy and uncertainty surrounding the U.K.’s exit from the European Union. The U.S. banks, on the other hand, especially the big ones like J.P. Morgan and Citi have very strong retail operations that have kept these banks resilient in the face of economic headwinds. This makes them better paymasters and a more conducive place to work. One recruitment consultant told CNBC, on condition of anonymity due to their relationship with large banks, that lenders like Goldman Sachs and J.P. Morgan see strong bonus payouts for front of office roles executives — such as in the trading room — and were up to 30 to 40 percent better when compared to European banks such as Barclays, Deutsche Bank and UBS. Spokespersons for Goldman Sachs, J.P. Morgan, Citi, Barclays, Deutsche Bank and UBS were not immediately available for comment when contacted by CNBC. “There is no comparison. A vice-president or a director level executive in a trading function at a U.S. bank will easily see a 100 percent cash bonus component as compared to a European bank where these are generally given as deferred, or in stocks,” the consultant said. “I think that was the case three or four years ago, but we started to see the stronger European banks catch up last year to pay market levels,” Joseph Leung, the founder and managing partner at recruitment firm Aubreck Leung, told CNBC last week. “Keep in mind many of them exited unprofitable businesses a few years ago and redistributed their capital to performing areas enabling them to pay their good people,” Leung added. “Banks have been paying like this for years so don’t think its affected morale in any way,” Leung said.